However, life is never certain and all too often personal circumstances can change and things occur that put the home at risk either for us or, for the ones we want to leave it to when we have passed on. It’s a sad fact that every year 100,000’s of people in the UK lose the homes they have worked so hard for simply because their financial circumstances have changed or, because they need to go into care. Even if we remain fit, healthy and financially solvent until the end, who can predict what will happen to our home once it has been inherited by our loved ones? They too could lose the property due to financial pressures or poor health, and the security we hoped it would provide them is gone forever. There are many benefits to the Home Protection scheme and on the following pages there are details on what is involved in setting up the scheme, how it works and the benefits but, everyone’s circumstances are different and it is essential that you seek advice from a professional and discuss everything with your family or, those you want to inherit your assets. What Is A Protection Trust? 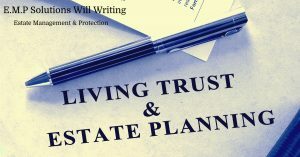 A Protection Trust is probably one of the most useful and versatile estate planning tools available. They have been used in the UK for hundreds of years and for most of that time, the general perception of what a Trust is used for is the preservation or reassigning of assets for the wealthy with large estates. The production of a Trust is deemed ‘Reserved Legal Work’. Therefore, has to be completed by either a Solicitor or Barrister and are typically quite expensive to produce. However, we do not believe that it should be cost prohibitive for anyone to take advantage of such a useful estate planning vehicle and we will produce a Trust for a fraction of what some law firms charge without compromising on quality. In fact, all of our Trusts are produced exclusively by Barristers with extensive knowledge and expertise in this area. A Protection Trust is a legally created vehicle designed to take over the direct ownership of certain assets which often includes the family home. A Protection Trust is an alternative to traditional ownership that provides many additional and important estate planning and protective benefits. Whilst, strictly speaking, placing assets into a Trust does mean that ownership is relinquished to the Trust, it certainly does not mean that the control or the benefit of those assets is given up. With traditional ownership you have complete control over your assets and you can benefit from them as and when you like. Upon death, complete ownership of your assets has to pass to those beneficiaries named in your Will. Because they are legally either your assets or, those of the beneficiaries named within your Will, they are vulnerable to being used to repay creditors or to fund care home costs. Creating a Trust and placing your assets within it means that the Trust now owns those assets. However, as Trustees you retain complete control over those assets and can benefit from them in just the same way as if you had direct ownership. Trustees and the benefit by making them Beneficiaries. As the Trust is designed to survive you and retain ownership of the assets within it, you can plan for how those assets are to benefit loved ones once you have passed on. You don’t have to transfer ownership. Assets owned by the Trust are considered to be beyond the reach of unsecured creditors and should not be considered when calculating what can be paid towards care home costs. Why set up a Protection Trust? Whilst a Protection Trust does provide significant advantages to you during your lifetime in relation to protecting your assets, for most people, the main reason for setting up a Trust is because they want to make sure that their loved ones receive the maximum benefit from their assets once they have passed on. Below is just a small selection of the Estate Planning Advantages. Typically, upon death all our assets are placed into ‘probate’ which is basically a state of suspended animation until such time as the appointed Solicitor or, your bank complete the probate process for which they will make a significant charge to your estate (often between 3% & 5%). Because your Protection Trust survives you and as long as it has been properly drafted with details of the Trustees /Beneficiaries who replace you upon death, there is no need for probate. As above, those assets placed into a Protection Trust will not be included within the probate process and therefore the beneficiaries will receive the benefit as you have stipulated immediately. 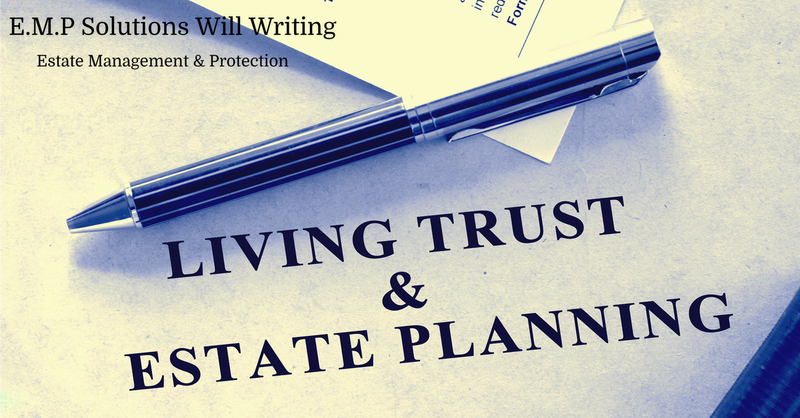 Unlike a Will, a Protection Trust CANNOT be contested. Because with a Protection Trust there is no transfer of ownership of the assets it is far easier for you to ensure that upon your death the benefit of those assets are distributed exactly as you want them to be. This is ideal for families where marriages have broken down or if there are step children or step grandchildren involved. Many of us have someone that we worry about, or feel we need to ‘look after’. Whether it is physical need or simply that they aren’t always capable of making sensible decisions we worry that simply leaving our assets to them after we have died, they won’t be capable of managing them to provide long term security. A properly drafted Protection Trust allows you to determine how those individuals you care about receive the benefit of your assets after you have passed on enabling you to plan for their long term security. Most of us will want to leave our assets to our children and other loved ones to help them achieve financial security. If you simply leave your assets in a Will, upon death the value of those assets transfer to whomever you have left them to. In this current economic climate it may be the case that the people you want to inherit your assets may well be in financial difficulty and therefore their inheritance could be seized by their creditors. Because the Trust survives after your death your assets remain in the trust and are therefore beyond the reach of the creditors of the beneficiary although, the beneficiary can still receive the benefit. The motivation for placing assets within a Trust should always be for Estate Planning reasons such as those detailed on the previous page. However, your assets could benefit from a far greater level of protection if they were in a Trust as opposed to being owned in the traditional sense. Whilst the protection advantages are extensive, it has to be understood that you should not place assets within a Trust with the sole motivation of simply depriving anyone who might have a legal claim on them. The days of our government looking after us from the cradle to the grave are long gone and we are now expected to contribute to the costs incurred in caring for us in our twilight years. Care home fees are not cheap. Care can cost from between £2000 and £5000+ per month and your local authority will be expecting you to contribute towards these costs. They will look at every asset you own, including your property, and if these total more than £14,000 then your local authority will expect you to make some contribution towards the cost of your care. In fact, if your assets are above £23,000 then they will expect you to meet ALL of those costs and if this means selling the family home, then so be it. Placing your assets in a properly drafted Protection Trust means that they should no longer be part of the Local Authority’s evaluation, safeguarding them for your family. An option that some people have taken in the past is to simply transfer their property to their children. However, the aggressive nature of Local Authorities often results in such a transfer being reversed or, a charging order being granted. Because a Protective Trust is a legal entity in its own right, the Local Authorities can not apply the same rules as if the property had been gifted to a relative. However, critical to the success of the Protective Trust will be the length of time the trust has been in place and whether or not, entry into a care home was even an issue when it was formed. Current legal opinion estimates the Trust should be in place for at least 12 months before going into care. However, the longer the Trust has been in place the better and it is advisable to consider at least an18 month period to bemire appropriate. None of us can see what is round the corner and recent years have shown us that changes in general economic circumstances can overnight put thousands of previously solvent people into financial difficulty. Unsecured creditors can seek what is called a ‘charging order’ against a borrowers home and potentially force the sale if the borrower does not maintain the contractual payments. If the property has previously been placed into a properly drafted Protection Trust, the creditor may still be able to obtain a ‘charging order’ on the borrower’s property but, it will sit below the Trust itself and the interests of the beneficiaries. In short the creditor will not be able to force the sale of the home nor, will they be able to lay claim tony of the asset value. If the trust has been set up for less than 2 years and you are made bankrupt the Official Receiver will be able to include the property in the bankruptcy as an asset (ss.339-342 of the Insolvency Act 1986). After 2 years, the property does not need to be included if it can be shown that when the trust was set up the personas solvent. If you have stood guarantor on a loan or mortgage for one of your children (or anyone else) and they default on that loan or mortgage, a properly drafted Protective Trust will protect your assets. If a sole traders business fails or, if they are not able to meet their business credit commitments as and when they fall due, a properly drafted Protection Trust can protect personal assets keeping them beyond the reach of creditors. However, the Trust must have been produced within a timely fashion i.e. : not at the time when the business fails and not simply to deprive creditors. life insurance policies etc can be placed in a Protection Trust. However an individual can only place up to £325,000 (£650,000 per couple) worth of assets into a Trust before there is any tax liability. Anything above £325,000 per person will attract a tax liability. Whilst there is no limit to the value of the assets that can be placed into a Protective Trust, the reasons for exceeding £325,000 per person would have to outweigh the tax liability and specialist tax advice should be obtained. The use of multiple Trusts should be considered for those with assets exceeding current tax thresholds. Placing a property or any other asset into a Protection Trust does not mean that you relinquish any control over those assets. In the case of a property, you can still sell the property and decide whether to, leave the proceeds within the Trust or remove them. You can use the proceeds to buy another property and place that in the Trust or remove it. As a Trustee you can also ‘unwind’ the Trust at anytime if it no longer suits your requirements. Why don’t more people have Protection Trusts? One simple answer is that despite Trusts having been around for hundreds of years, how they work and how useful they are isn’t widely known or understood. Also, because the production of a Trust is reserved legal work they have always been relatively expensive to produce and therefore the preserve of the wealthy with significant assets. In these circles, the use of Trusts has always been very common. Our Trusts are designed to be affordable to all so that everyone can benefit from what is probably the most versatile and useful estate planning tool. there are four main stages to consider. right for you without carrying out a complete review of your affairs. You should obtain good advice from a professional Estate Planer or a qualified and experienced Financial Advisor who should make a thorough evaluation of your circumstances before making any recommendations. If, after receiving good advice you are considering putting your assets into Trust, you should discuss your decision with family members and or, trusted friends and anyone that you want to be either a Trustee or Beneficiary of the Trust. As mentioned earlier, the drafting of a Trust is considered to be ‘Reserved Legal Work’ meaning that it can only be done by a Solicitor or Barrister. You should make sure that the Solicitor or, Barrister is suitably experienced in the drafting of Trust documents and what is required to enact them. They should also carry suitable levels of professional indemnity insurance so that you can be compensated if their drafting is flawed and the Trust doesn’t perform as it was intended. Once your Trust is drafted and in place, it is possible and often advisable, to appoint a professional Trustee. This person or organisation should NOT be a beneficiary of the Trust and their powers should be limited to ensuring that your wishes and the rules you put in place when the Trust was set up are respected and honoured. Who would produce your Trust Documents? When it comes to protecting our most valuable assets including our home and considering how we want those assets to be distributed once we have passed on, it would be remiss to say the least, not to consider the setting up of a Protection Trust. A Protection Trust is one of the most flexible, useful and protective Estate Planning tools available. No matter how old you are or how much there is in your estate, it is often the ideal way to ensure that what you have worked so hard to acquire is removed from danger during your lifetime whilst also providing the maximum benefit and security to those you love after you are gone. Q: Who would benefit from a Protection Trust? A: A Protection Trust is designed for singles or couples who own their own home or have a reasonable level of savings/investments. A: It is up to you as to whom the beneficiaries are. During your lifetime you can either nominate yourself as a beneficiary or, make sure that you have what is termed a ‘lifetime interest’. It is also up to you how the beneficiaries receive their inheritance. You can place any requirements or conditions that you require. This way you can safeguard your bequests from being squandered or lost. Q: What happens if one of us dies? A: If you have a joint Trust everything remains exactly the same. The survivor can keep the benefits of the trust and keep control over the trustees. Basically, it is up to you to set the rules at the point when the Trust is being set up. Q: Can I sell my house if it is in a Trust? A: Yes, as Trustees you can sell any asset within the Trust and decide what to do with the proceeds of the sale. For example, you could take the funds out of the Trust or, leave them in. You could use the Trust to buy a new home that would then sit within the Trust. Basically, it’s up to you as Trustees. Q: What type of assets can I place in a Trust? A: It is usual to put property or, properties into a Trust along with other savings, investments and life insurance policies. However, virtually all tangible assets can be put into a Protection Trust. Q: Can I add other assets at a later date? Q: Can I unwind a Trust if I change my mind? A: Yes, if your circumstances change or you simply decide that you no longer want to have your assets in a Trust, as Trustees you can unwind the Trust and release the assets back into your direct ownership. Q: What is ‘deliberate depravation of capital’? A: When a local authority conducts a means test financial assessment, it will check when assets were placed in a trust to establish whether they were placed there solely for the purpose of avoiding being included in the assessment. This is known as ‘deliberate deprivation of capital’. Q: How can I avoid being accused of ‘deliberate depravation of capital’? A: The best way to avoid it is to place your assets into a Trust when the thought of having to enter a care home anytime in the near future is simply not an issue. If those entering assets into the Trust are a couple, then the family home carries a ‘disregard’ status if one of the couple has to enter into care. There is also passage of time. This means the time between when the Trust was set up and when care financial assessment became an issue. This needs to be of such a length that a local authority would be unable to prove deliberate deprivation and whilst no set time period is given, an ideal minimum would need to be at least 18 months. It is worth noting that a local authority will be allowed to inspect all medical and financial records when conducting their assessment.